The ergonomic walnut handle makes it easier to break through roots and tough soil with the heat treated stainless steel blade. 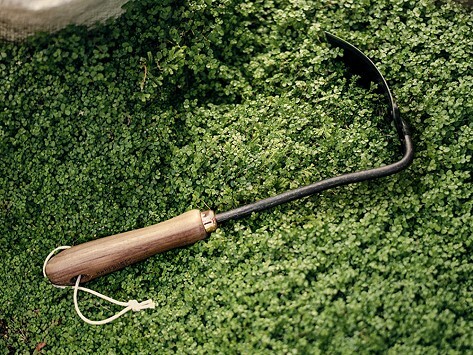 This hoe has a simple, yet functional (not to mention well-constructed) design, made to last for many seasons of garden work—and it helps to give back to those in need, too. Dimensions: 13.6" x 2.8" x 5.25"